Reason for channel(s) suggestion: With a minimum budget, the goal is to assign funds to the channels that will allow you to reach the largest audience as well as generate the highest ROI. Allocating the majority of funds to Google makes use of the world’s highest trafficking search engine and its user base. Reason for channel(s) suggestion: With a medium budget, the goal is to increase conversions by targeting a wider variety of channels. As always it is important to allocate a majority of your funds to Google; however, it may be worth allotting a small portion of the budget to Facebook to help promote seasonal events or major holidays to highly targeted interest groups. Reason for channel(s) suggestion: With a larger budget in hand, the overall goal for your paid search campaign should be threefold: (1) increase conversions, (2) strengthen brand awareness, and (3) saturate the market. Because you have extra budget to work with, you can choose to run social media year round and to focus some of your efforts on banner ads. While the ROI on these two channels may not be as high as Google or Bing, your overall reach will have increased significantly allowing you to showcase your hotel/brand to previously untapped markets. It is important to note that these recommendations are not taking into consideration factors such as the competitive nature of your market (a searcher’s click for New York Hotel will cost a lot more than a click for Santa Fe Hotel) or the type of hotel you own (Economy, Midscale, Luxury). 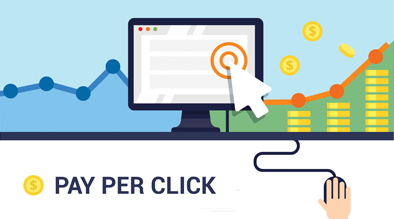 These two factors can drastically affect how much funding you need to allocate to paid search, and potentially what channels you should consider. In most cases, as long as the hotel has a good understanding of what their end goal is (increasing conversions vs increasing awareness), as well as a good understanding of their market, trying out a new channel can be a great opportunity. If you need any further clarification on some of the major paid channels mentioned above, feel free to check out another great post comparing Google vs. Facebook vs. Bing. Home Top 5 Successful PPC Strategies for Hotels in 2011	How Google’s Recent Ranking Algorithm Update Affects Hotels?